As a follow up to my last post about my non-sportsiness, I feel the need to report that my 5-year-old has indeed been inspired by the Olympics, as per my plan. 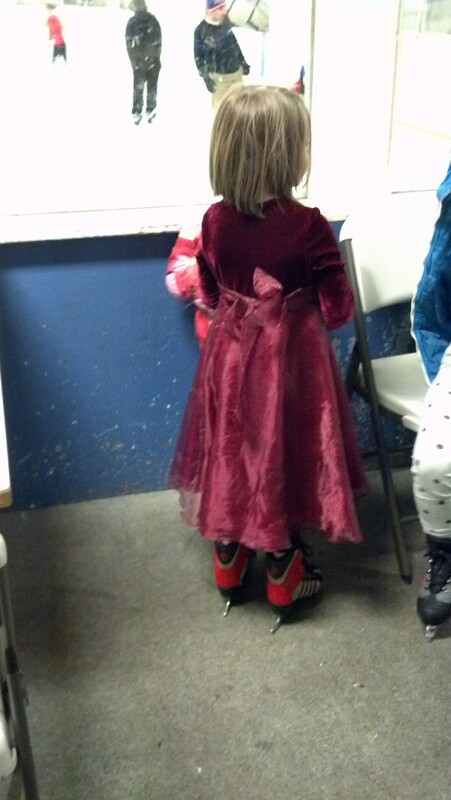 Specifically, she has been captivated by the magic of ice skating. To help her get a feel for the sport, my husband took her ice skating for her first time yesterday. She opted to wear the most formal dress she owns. Obviously. Even if she inherits my wankles, at least she’ll win a gold medal for style. Oh this is so awesome. And I love that she rocks her style.